Kevin – Paul talk friendship. 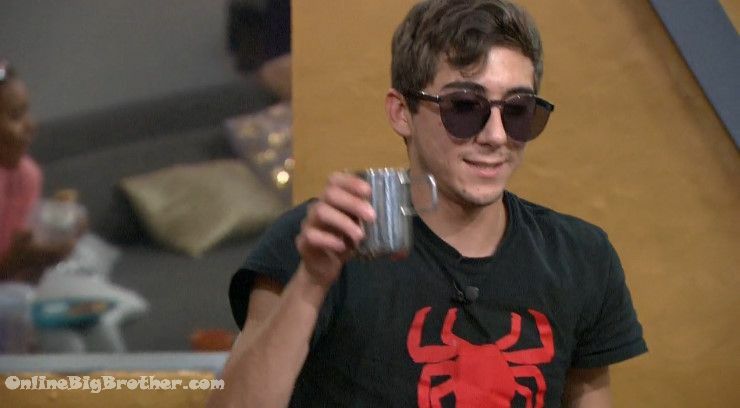 Jaosn fires a booger at Josh..
Big BRother Spoilers 10:07am Have nots..
Josh – Houseguests, congratulations there will be no have nots this week expect for Elena.. Elena you will be the only have not this week. Cody – I love this HOH..
Paul adds that mark is also a Have not having gone for the have not temptation but picking the wrong door. Mark – I’ll even be like Ramses, take it easy. Really stick it to Cody. 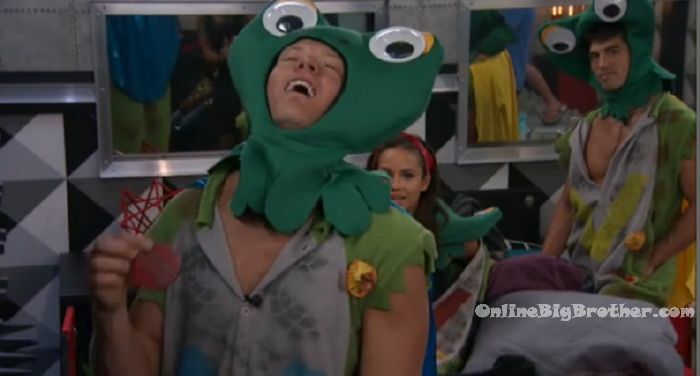 Paul – Cody got called in already so just it might be soon. Mark – the environment is so much better than last week. Paul – he won’t even look at me. He just looks down. Kevin heads downstairs. Paul – I can’t wait to find out more about Kevin. There’s something more to him. Shelby says ther’es a 2/3rds chance she’s being nominated. 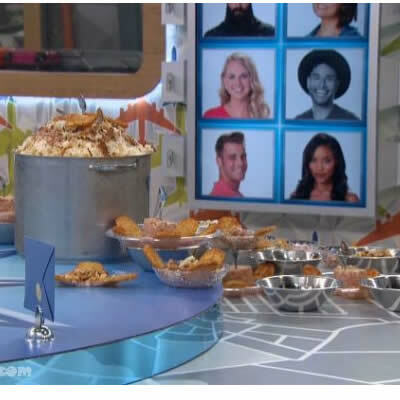 8:09am Have nots Corn beef and hash ..
Natalie- you guys are going to eat like kings this week..
James – Oh my god this is delicious.. I eat this all the time.. That’s like breakfast every morning..
Nicole – and all the punishments tonight when the backyard opens..
Corey – I Hope so.. I’ll take anything at this point ..
9:13am HAve nots are picked.. 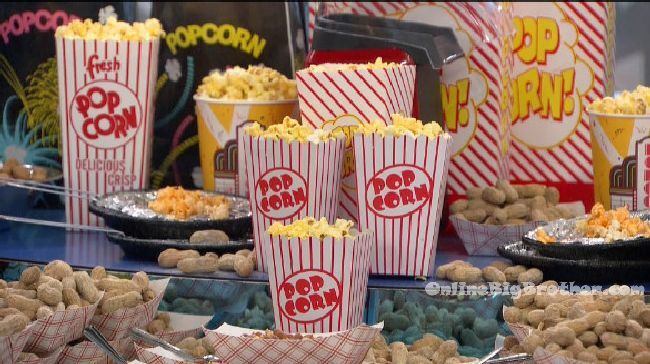 The Havenots Nicole, Corey, and TIffany get to eat Popcorn & Peanuts!